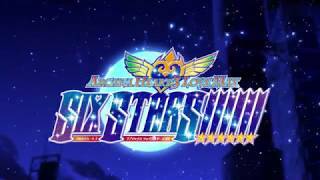 Arc System Works Arcana Heart 3: LOVEMAX SIXSTARS!!!!!! Arcana Heart 3 LOVEMAX SIXSTARS!!!!! !, previously only available in Japan arcades, is now out on Steam, published by Arc System Works! Thanks to the overwhelmingly popular requests from players worldwide and a very successful crowdfunding campaign, the game is now a reality. The “Story”, “After-Story”, “Survival Score Attack”, “Trial”, Time Attack”, “Versus”, “Training” and “Replay Theater” modes will all be available! And of course, “ONLINE NETWORK PLAY” as well!! Minori is a “Hybride”, a special Valkyrie who can dual-wield the powers of the Arcana and the Geist. “Doing good deeds in secrecy” is her motto, so she uses her ability to defeat evil without being seen. Although frustrated by her inability to help Heart and the other Angels, she continues to fight for world peace with her newly acquired powers, and stands tall fighting for peace as the “Annihilation Angel Subaru” (self-proclaimed super hero name). An “Alchemist” and a Doctor of the Celestial World. Made several appearances in previous titles of the series as either a Secret Boss or a Final Boss, and possesses unworldly strength. The 25th playable character. A homonculus created by the Arcana of Life, Parace L’Sia. Has the abilities akin to that of a marine animal, and shapeshifts her form to combat against her opponents. Arcana Hearts 3: LOVEMAX SIXSTARS!!!!!! is Out Now on Steam!